Can the Honour compete with the its mid-range rivals? The Huawei Honour is now available in the UK from various independent retailers, with more expected to range the handset soon. 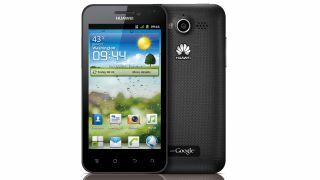 The Honour (or Honor as it's spelt in a lot of places) features a 1.4GHz processor, 4-inch HD display, 8MP camera and sizeable 1,900mAh battery, although sadly it only comes running Android 2.3 Gingerbread. This is pretty odd given it was meant to be one of the first handsets to roll out with Ice Cream Sandwich when it was announced a billion years ago (well, December 2011). It weighs in at a respectable 140g, however the slightly chubby 10.9mm frame will make it feel a bit fat round the edges when compared to the likes of the Orange San Diego. Huawei has slapped a RRP of £250 on the Honour, however online retailer Clove has it listed at £238.80, while Expansys is offering it for just £210. Play has gone in the opposite direction, asking slightly more for the Honour, with the handset priced at £254.99. This price puts the strongly featured Honour up against the aforementioned San Diego as well as the Nokia Lumia 710 and HTC One V.
We hope to get a Huawei Honour in soon, so keep an eye out for our full in-depth review.